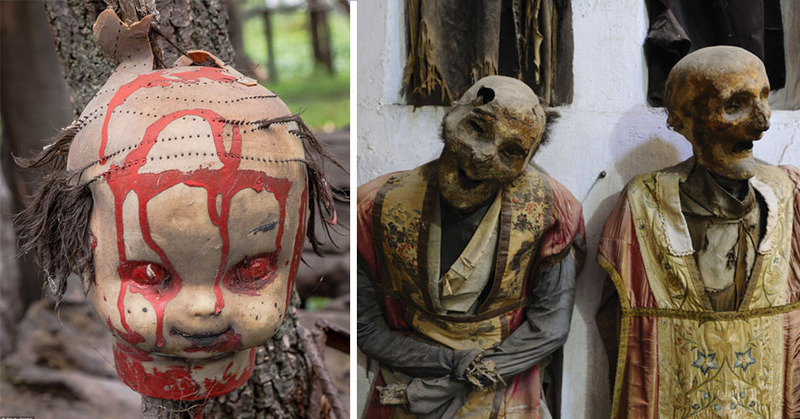 Most Scary and Sinister Places Around the World That Will Give You The Creeps | Do You Know? Haunted places are nothing new, and there is not always concrete proof that such places are the hunting grounds of ghouls and poltergeists. However, the aura such environments possess is one that you can be only too familiar with from horror movies. 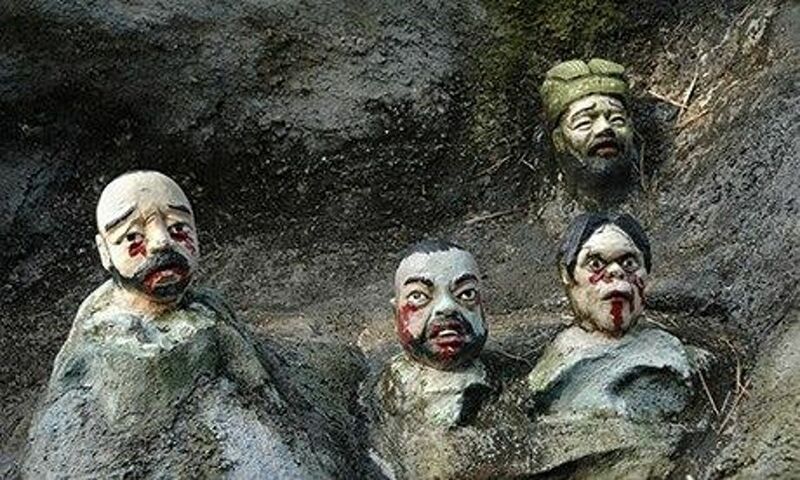 Below you’ll find a list of 30 of the scariest places on earth. What is for sure though, is that you’ll likely want to read some of these creepy stories with the lights on! Once a warren of streets and narrow dwellings, this was a thriving trading area before the plague broke out in 1645. Today, it is part of the city's popular haunted places walking tour where tour guides and visitors have reported ghosts of an elderly lady, a woman in black and a little girl named Annie. Annie has been known to interact with people who leave behind gifts for her. Paranormal activities reported are flicking stones, following footsteps and sounds of toasting in a tavern. They are not just dolls! They can be found all across the island, they move their hands, they even whispers to each other and also lures the boatman to the island! Sound creepy, right? 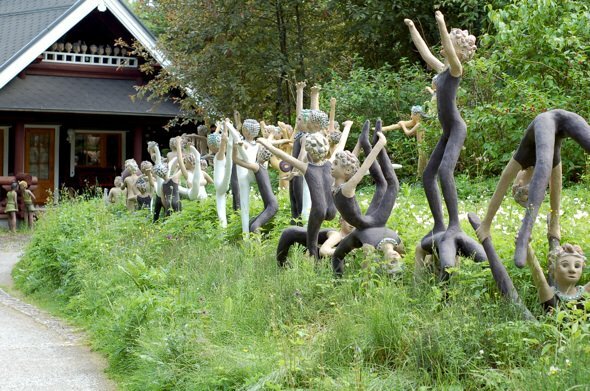 Yes, the first glance of this island is enough to scare the man out of you! Once a bustling coal mine, Hashima Island is now the dwelling of souls and sprits. With zero human intervention, the deserted island has now become a ghost town, where you can hear murmuring and whispering sounds with no one beside you! This former high school was turned into Security Prison 21 under the Khmer Rouge and was used as a base in 1975 to imprison and torture prisoners. Prisoners were tricked into naming their families and associates who were imprisoned, tortured and eventually murdered. It is said that The ghosts of 17,000 victims are said to roam the halls of this museum and it's not hard to see why. Usually dense forests excite all of us with their lush and appealing charm. But…don’t get mistaken by the luscious outlook of the Aokigahara Forest in Japan, where you can witness signboards saying- ‘life is precious’, ‘consult the police before you decide to die’ at the entrance. It is the most haunted suicide point in the country with several paranormal activities reported so far! Why would someone desert a township with plenty of fun-rides, gymnasiums, auditoriums, galleries and other recreational spots? Well, to find the answer, you need to visit the spooky town of Pripyat in Ukraine; just make sure, you pray to the Gods before entering this ghostly town! This fort is said to be haunted by a tantrik who tried to use black magic to make a princess fall in love with him. Unfortunately, it backfired and he cursed the fort and all its residents. 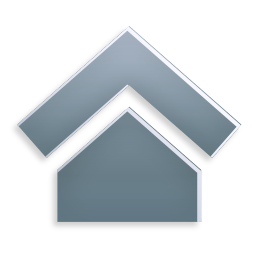 Stories of people going mad with fear and abductions of intruders have been reported over the past. Today, the fort is closed after sunset and locals warn visitors of not going anywhere near it after dark. 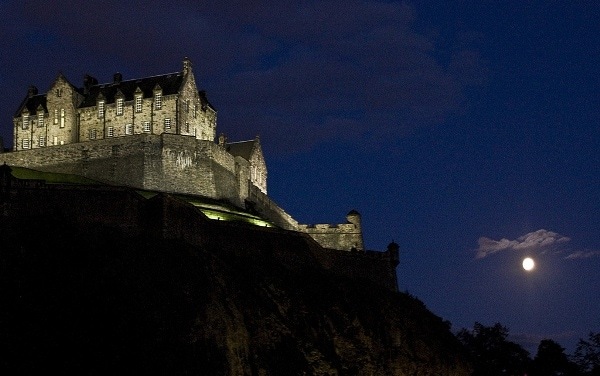 An iconic heritage city and tourist spot in the city, the castle is also home to a phantom piper, a headless drummer and a spectral dog. In 2001, the castle vaults and chambers were subjected to a rigorous 10-day scientific survey, using night-vision equipment, digital cameras, thermal imaging, and 240 carefully-screened volunteers. Nearly half of those who took part reported ghost sightings and spooky phenomena, including sudden drops in temperature and the sensation of unseen presences tugging at their clothes. 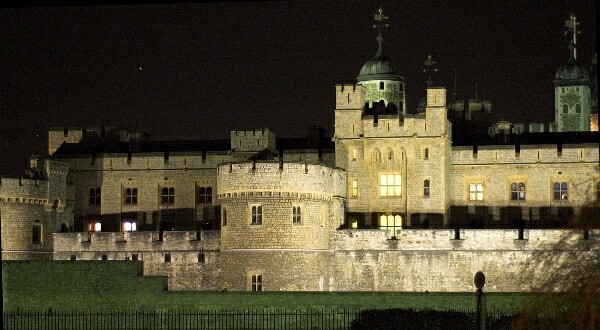 A historical icon and tourist hot spot, the Tower of London is also one of the most haunted places in the United Kingdom. That's no wonder because this was the site where several figures in English history were beheaded for sedition and betrayal. On the very first look of this ossuary, you might not find anything unnatural! But hold on…take another look of your surroundings! Now don’t say that all the chandeliers, garlands in the room or the coats of arms are actually carved out from human bones and skeletons. Do you still want to visit this ossuary? A disguised island in Greece, Poveglia is an island where you can find bones and skulls with the waves crashing against the shores or might find your boat getting stuck into a pile of human bones. The once a dumping ground of the plague victims, there has been an array of paranormal activities reported in this island; it also includes the death of a psychic doctor who was choked to death by unnatural forces! 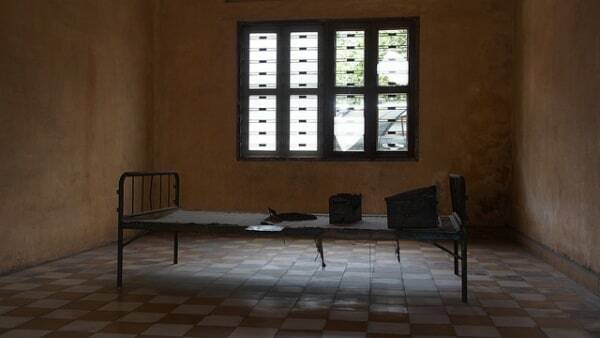 A school turned into prison, Tuol Sleng in Cmabodia ended up being a genocide ground! Claiming almost 14,000 lives of the inmates; most of which were brutally tortured to death, it is now one of the haunted places in Cambodia. You can visit this prison during the daytime, but spending a night; you have to think twice on this! Most of us might not be aware of the ‘Pennsylvania System’! Well, to explain it, it was a system wherein the prisoners were dumped into solitude and at times, they were left to die in such tragic circumstances. Introduced in 1829 in Philadelphia in the Eastern State Penitentiary prison, the aftermath of this horrific practice has led to several spine-chilling paranormal activities in this prison. A market in Africa, where you can find all the necessary commodities to practice black magic, the Lome Bazaar is one of the scariest sites in the country. From freshly killed animals to well-preserved animal remains, skeletons and other parts, one can find everything in this market. How hard and scary it will be to spend the entire life wearing a gas-mask? If you want to find an answer to this, visit the Miyake-jima, where people spent most of their lives wearing a gas mask in order to withstand the poisonous gases evolving from the active volcanoes. What makes this power plant look scary is its massive size and no humanly activities. The plant that had an amazing capacity to cool around 480,000 gallons of water every minute has now become one of the scariest places on earth! On a visit to this abandoned hospital, no one can believe that the great Nazi leader Adolf Hitler was treated here! A 60-building treatment facility centre, this hospital was shut down with the downfall of East Germany. All that is left today are the spooky corridors, cranky beds, rusty equipments and the fading colours. Halloween was said to have been invented in Ireland, so it's fitting we include somewhere in the Emerald Isle. Montpelier Hill near Dublin is where you'll find the supposedly haunted ruin of a hunting lodge. Built in 1725 by parliamentarian William Connolly, it was originally built as a site for the Dublin branch of the Hell Fire club. Take a torch and take a night-time guided tour of the hilltop and lodge - just don't look behind you. They've also got some Hell Fire Caves in England - High Wycombe to be precise. They are believed to have been built in the 18th century as the original home of the Hell Fire Club for carousing aristocrats, authors and artists. This chronic asylum came into existence in 1869 and had a capacity of around 4,000 patients at a time. In the course, the asylum witnessed around 50,000 deaths, out of which only a few were natural. Well, this makes the asylum and its morgue, one of the creepiest as well as scariest places. Walk through this tunnel on a pitch black night with a wooden match; you will know why this is called the ‘screaming tunnel’! Hundreds of years back, a young girl hid in this tunnel to escape the wrath of her drunken father. It is said that the soul of the girl still resides inside the tunnel and screams her heart out as someone makes their way into the tunnel with a wooden match. Though a natural epidemic forced the locales to evacuate this settlement in England, one can still witness a young girl roaming in the narrow streets of the village. According to the tales related to Eyam, this girl was identified as Sarah Mills, who used to be a servant and is still searching for her way to the other world! Did the Bermuda Triangle and its mysteries ever fascinate you? Be it a yes or no, but this deserted mine in Russia will surely do! Though the mine is closed now, no one has yet been able to explain why helicopters flying above the mine-hole were sucked into it! After this amusement park came into existence, no one would have wondered, it will end up with such a tragic end! Located within a close proximity to the Mt Fiji and the disguised Aokigahara Forest or the ‘Suicide Forest’, it had obvious reasons to shut down. The Shicheng City or the ‘Lion City’ in China that dates around 1,400 years old is also one of the scariest places on earth. The once an epicentre of China, the city met its end after the Xin’an River Hydropower Station was built, when the entire of this city got submerged under the Qiandao Lake. Once inhabited by Liedekerke-Beaufort family, this castle was abandoned after the French Revolution. Post this; it was used as an orphangae. But now, what attracts the visitors in this castle, are its spooky tales and paranormal activities. 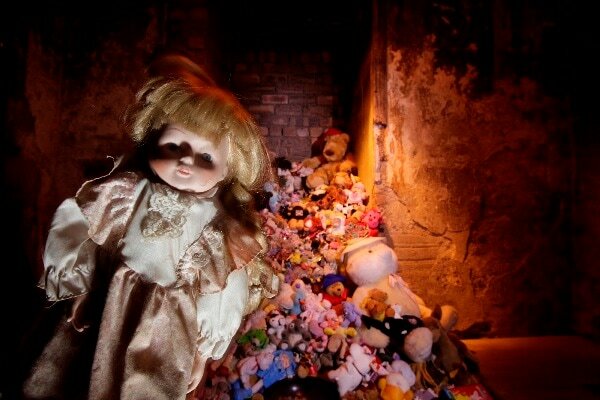 It is one of the most sought after destinations for ghost hunters in Belgium. 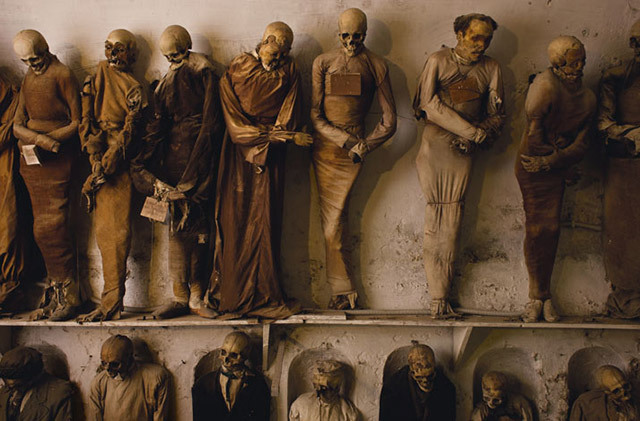 Located inside the catacombs are the remains of 8,000 people from the 18th and 19th centuries. A famous French writer, Guy de Maupassant, wrote, "Their (the corpses’) heads look terrible, the mouths seem about to speak, the faces contorted by what appears to be inexpressible, unbearable terror." This theme park is the complete opposite of Disneyland. Just look at the Ten Courts of Hell! These gruesome displays are simply a way of teaching young kids about morality. For example, the scenes of dismemberment are meant to stop children from cheating in exams. Built over a coal mine, the city flourished until 1962 when a fire started. The locals weren’t particularly worried at first. 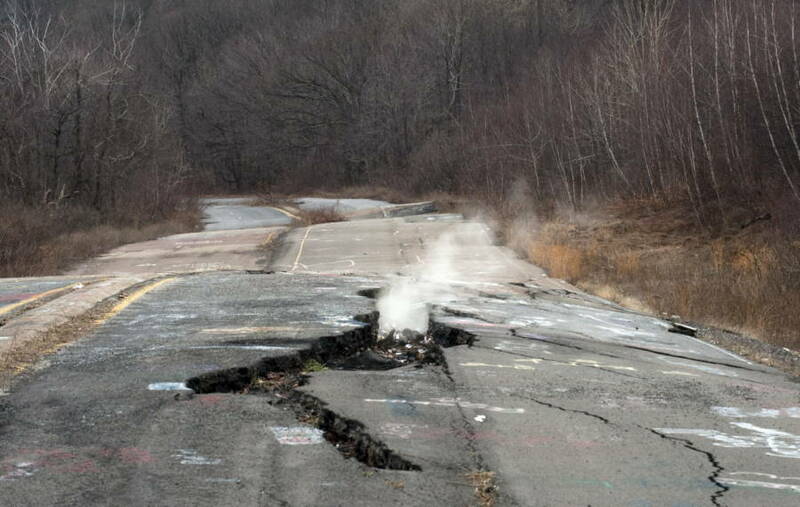 But, 10 years later, several of them fell through burning cracks that suddenly appeared in the pavement. The authorities evacuated the town. Today, the city’s population amounts to 7 people.